Notes: CMP. 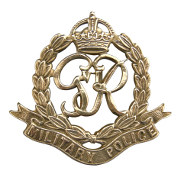 Enlisted in the Rifle Brigade, transferred to CMP. He was born and resided in London N. War Diary 813 Special Pro Coy, WO 170/3569. Died as a result of a battle accident on his way to hospital. Taken to 3 Canadian General Hospital, Avellino, transferred to 92 British General Hospital, Naples, where he died. 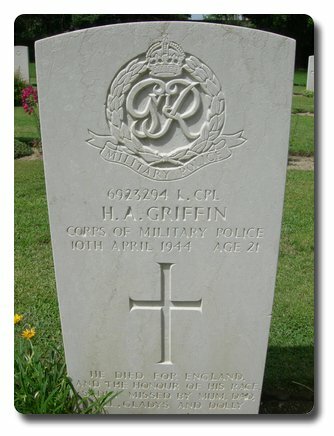 L/Cpl Griffin buried at 92 General hospital in grave No. 018. Funeral attended by OC and 6 L/Cpl's from this unit. Inscription on gravestone. He died for England and the honour of his race, sadly missed by Mum, Dad, Bill, Gladys and Dolly. Hubert Alfred Griffin.